Fox Cut is a narrow bend of water on the Intracoastal Waterway south of the city of Palm Coast near ICW Mile 804 on the East Coast of Florida. 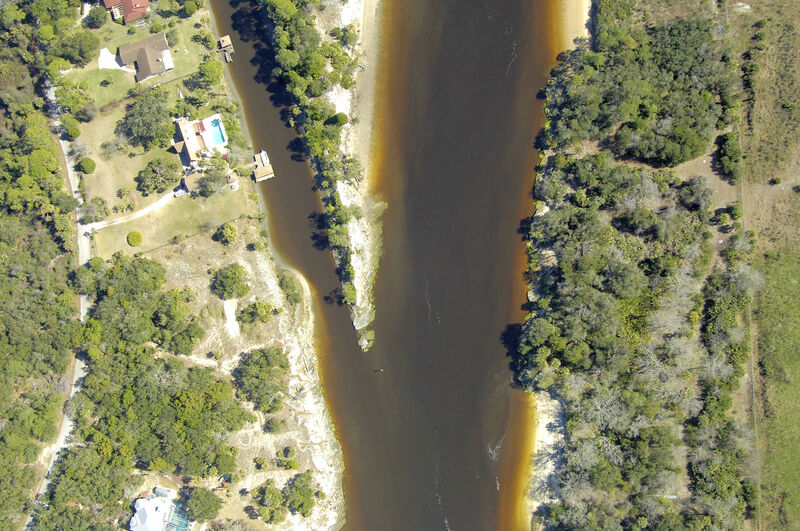 This narrow are of the waterway is a land cut that the U.S. Army Corps of Engineers made in order to bypass the small, shallow side canal that can be seen above. 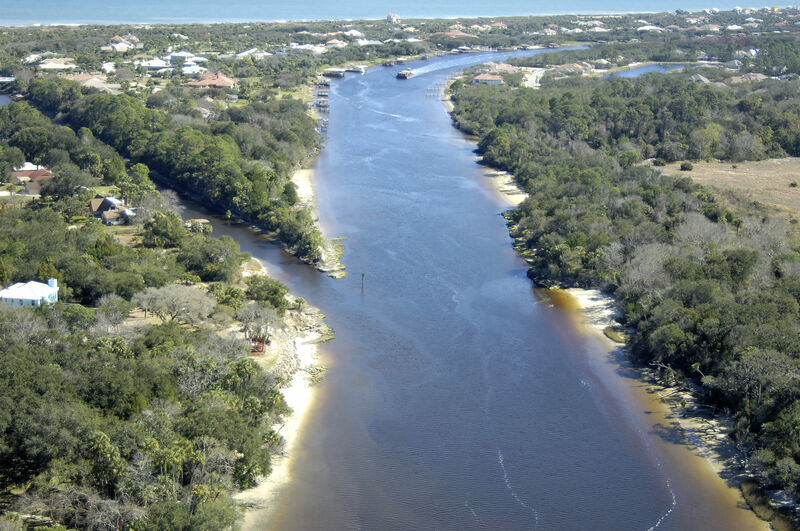 The image above is a view from the north looking south over the beginning of the Fox Cut north of Intracoastal Waterway (ICW) Mile Marker 805. The channel to the left (east) is not navigable and has depths of less than two feet in may places. 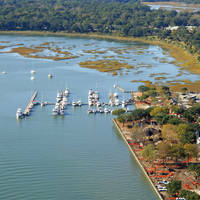 Fox Cut runs for three miles toward Beverly Beach where the aforementioned side canal rejoins the route near ICW Mile 807. 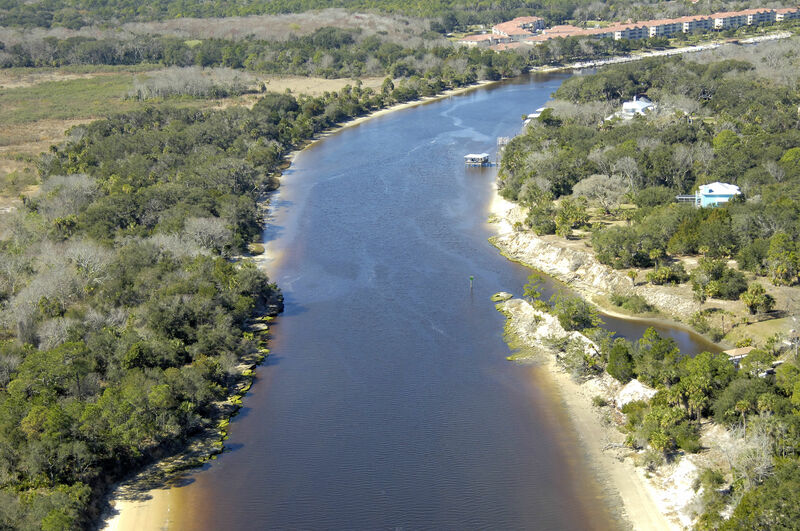 Although currents can run quite strong through the area, Fox Cut has average depths of six to eight feet and poses little in the way of navigational challenges to the recreational boater. Approaching from the north, green daybeacon 1 (visible above) marks the beginning of the cut heading south. Two miles farther south, the cut rejoins with the shallow side canal around a set of navigational aids: Red daybeacon 2, flashing green 3, and red daybeacon 4, a little farther down. 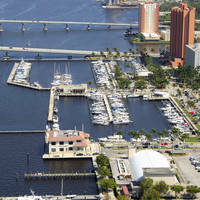 Palm Coast Marina is located north of the cut and is the last marina facility for many miles. Be sure to fuel up if your tanks are low. No reviews yet! 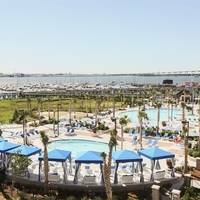 Be the first to write a review of Fox Cut North Inlet.